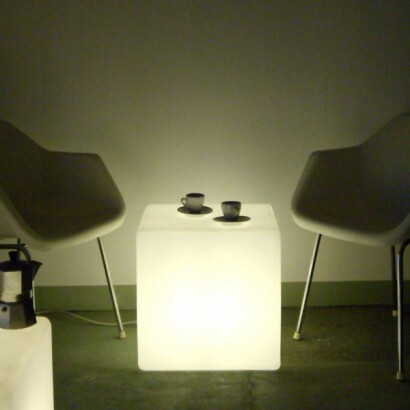 The Cube Lit Side Table is a cube shaped table that lights up from inside, this excellent mood lighting is great for decorating the home with. Whether next to a bed, sofa or any other home furnishings the cube looks fantastic as it casts a soothing light that will transform your room with a soft natural glow. Cube was designed for a Graven Images interior, The Opal Lounge, Edinburgh. Although originally designed for use with battery powered leds, it now makes a great side table or stool, using a standard E27 bulb. Great as a bedside table, stool and more. A great home decoration to place in your bedroom, living room and more! Uses Standard Edison Screw (ES) fitting energy saving (CFL) E27 bulbs up to 20 Watts. Fast delivery and a great product. We have it in our oak conservatory and it looks surprisingly stylish and even better when the light is on! The 'cube' is exactly what we wanted for our new home. We bought it originally to hide the plugs behind but it has brought a real 'wow' factor to the room. A soft glow light which looks amazing with a vase of flowers on top. Highly recommend. An excellent choice for my son's bedroom. 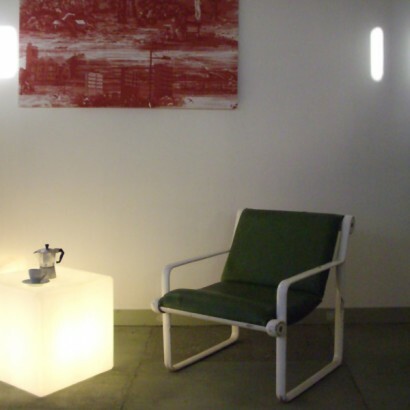 A tough white plastic cube that gives a lovely ambient light effect. Excellent delivery service too. Would definitely recommend.